I quit a book the other day. 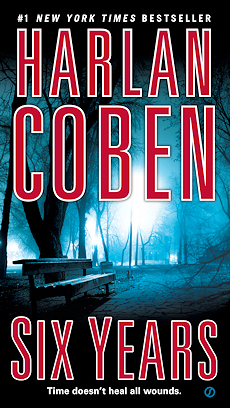 I’ve seen Harlan Coben books everywhere, but I had never looked at one. At the library, I picked up the audiobook version of “Six Years,” read by Scott Brick (who I think has done a great job with Justin Cronin’s “The Passage” and “The Twelve”). I only made it through the first disc. The novel’s title “Six Years” refers to the length of time from when the narrator, Jake, attends his ex-lover’s wedding to when he reads of her husband’s death (and attends the funeral). He reads the obituary, and then he attends the funeral and is surprised to find out that the dead husband was a doctor, had a teenage son, and his wife was some other woman instead of Jake’s ex-lover. Here’s the problem: those facts (that he was a doctor, his wife’s name being different from the name of his ex-lover) are all things that should’ve been part of the obituary. Sure, I’ve worked in journalism for many years, and maybe that gives me a specialist’s knowledge about how a professional would write an obituary. Though I’m pretty sure most people would expect that kind of information. So it made me not trust this book. After all, Jake’s surprise – his need to get to the truth of the matter – seems to be the main engine of the book. But because it required him to go to this funeral, even though the obituary should’ve given him the same surprising information, the contrivance of the plot revealed itself too me far too readily. Have you quit a book because the author tried, and failed, to use something in your area of expertise?